As Gold Coast Locals we are passionate about developing sustainable solar together. With 10 years experience, we are a leading Gold Coast solar power installer. 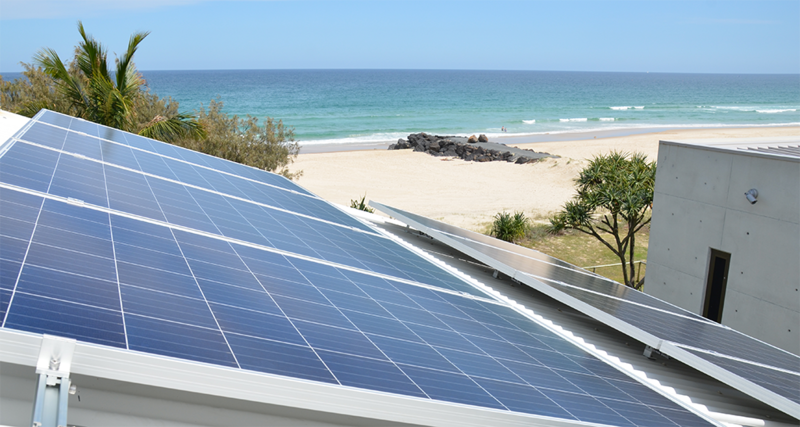 Gold Coast Energy has been installing and servicing roof top solar in SE Qld and Northern NSW for over 10 years. We are firmly positioned as an industry leader and one of the most established solar companies in Australia. 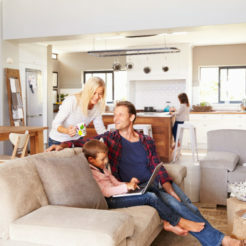 When you choose Gold Coast Energy you will have peace of mind you are receiving the latest and very best technology and products. We treat you as an individual, from a complete assessment of your individual needs, to installation and servicing, our team of industry expert’s care about your solar system and working to achieve the best results for you, at the most competitive prices. Make the switch and power your home using free energy! Installing a Solar PV System to your home will significantly reduce your energy bills. In fact, combined with a solar battery solution, you can become a self-sufficient household and reduce your reliance on drawing power from the grid. 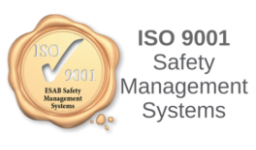 We offer an obligation free assessment and quote. See why we are a leading Gold Coast solar power installer today. Want to use the excess solar energy that you produce? Completely eliminate your energy bill with a solar battery! With homes usually using more electricity at night, by installing a solar battery system you can store your solar power for when you need it most, further reduce your power bills and gain more energy independence. A solar battery will also provide you with an uninterruptible power system. Did you know we are not just solar installers; we are a servicing company as well. Unlike some solar companies, we will provide you with exceptional service throughout your solar journey, from installation and beyond. Gold Coast Energy delivers the highest level of service at affordable prices. After a service, it is not uncommon for most people to see an improvement on their next bill, anywhere from $50-$150. We do solar 24/7, which means we are always keeping up to date with the latest solar technology and innovation. 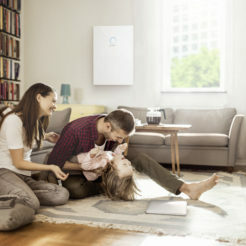 Gold Coast Energy is an industry leader and we proudly align ourselves with supply partners that deliver the latest technology and industry leading warranties. When you choose Gold Coast Energy you are guaranteed the best solar products, technology and service available. Gold Coast Energy also offer innovative monitoring options, meaning you can always evaluate how your system is working. As electricity prices continue to soar, energy expenses remain the number one cost for a business. Commercial solar has become a must for any business looking to improve its profitability and carbon footprint. 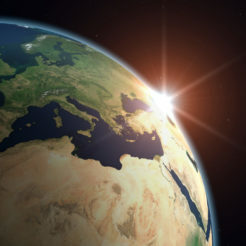 We can tailor a solar system for your business needs, so you start saving from day one. In fact, commercial solar power systems ROI has the system paying for itself within 3 – 5 years! Ask us about the current government rebates available, which can cover from 30-50% of your commercial solar project. The Solar Credits program is part of Australia’s Renewable Energy Target. 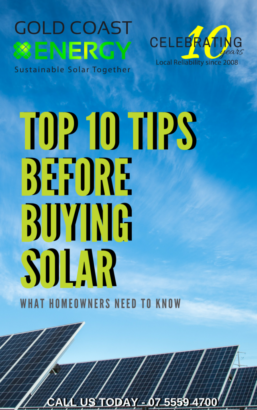 The Solar Credits rebate applies to new installations and offers home owners significant savings, depending on their solar system. 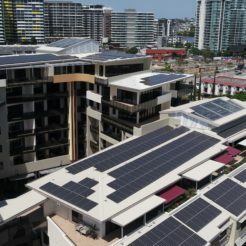 Both NSW and QLD residents are currently offered a feed-in tariff rate, where the energy provider will pay you for the excess solar electricity you feed back into the grid. As industry experts we can show you how much you can save and the current government rebates available to you. Leading Gold Coast Solar Power Installer. Cutting-edge solar system and battery storage options delivered every time. Does The Service Sticker On Your Inverter Look Different? Are you a Brisbane Business? We service the Brisbane area for any commercial solar installations. 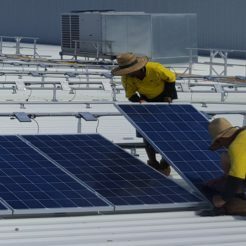 If you are looking for more information regarding the services we offer, please visit Brisbane Commercial Solar and get started with us today.